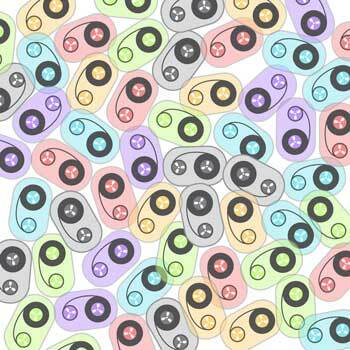 (Nanowerk News) Through a few clever molecular hacks, researchers at Columbia University Medical Center have converted a natural bacterial immune system into a microscopic data recorder, laying the groundwork for a new class of technologies that use bacterial cells for everything from disease diagnosis to environmental monitoring. "Such bacteria, swallowed by a patient, might be able to record the changes they experience through the whole digestive tract, yielding an unprecedented view of previously inaccessible phenomena," says Harris Wang, assistant professor in the Department of Pathology and Cell Biology and Systems Biology at CUMC and senior author on the new work, described in today's issue of Science ("Multiplex recording of cellular events over 1 time into a CRISPR biological tape"). Other applications could include environmental sensing and basic studies in ecology and microbiology, where bacteria could monitor otherwise invisible changes without disrupting their surroundings. Wang and members of his laboratory created the microscopic data recorder by taking advantage of CRISPR-Cas, an immune system in many species of bacteria. CRISPR-Cas copies snippets of DNA from invading viruses so that subsequent generations of bacteria can repel these pathogens more effectively. As a result, the CRISPR locus of the bacterial genome accumulates a chronological record of the bacterial viruses that it and its ancestors have survived. When those same viruses try to infect again, the CRISPR-Cas system can recognize and eliminate them. "The CRISPR-Cas system is a natural biological memory device," says Wang. "From an engineering perspective that's actually quite nice, because it's already a system that has been honed through evolution to be really great at storing information." CRISPR-Cas normally uses its recorded sequences to detect and cut the DNA of incoming phages. The specificity of this DNA cutting activity has made CRISPR-Cas the darling of gene therapy researchers, who have modified it to make precise changes in the genomes of cultured cells, laboratory animals, and even humans. Indeed, over a dozen clinical trials are now underway to treat various diseases through CRISPR-Cas gene therapy. But Ravi Sheth, a graduate student in Wang's laboratory, saw unrealized potential in CRISPR-Cas's recording function. "When you think about recording temporally changing signals with electronics, or an audio recording ... that's a very powerful technology, but we were thinking how can you scale this to living cells themselves?" says Sheth.